Monitor and diagnose your synchronous communication lines from the comfort of your workplace! Advanced Relay's Data Line Monitor (DLM) is designed to facilitate transparent real-time and off-line monitoring of data communication. This is a powerful tool for protocol discovery and for network configuration troubleshooting. 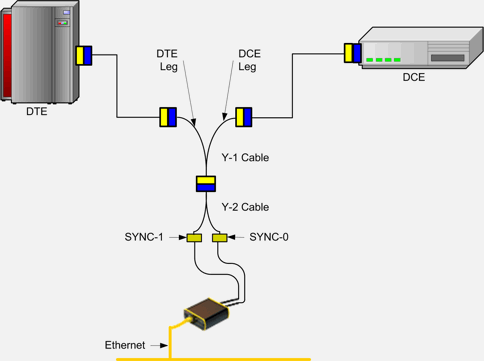 Any synchronous communication by inserting a "hardware tap" implemented within our PXSe. 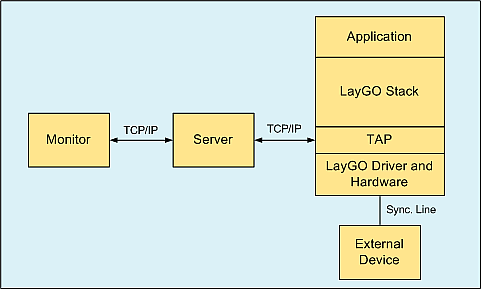 The LayGO® DLM uses a client-server architecture to allow both local and remote monitoring. The DLM Server is an independent program normally running in the same machine as the tap. It is the connection point for both taps and monitors. The server is responsible for authenticating monitors and relaying data from the data tap inside the stack to the registered monitor sessions. Advanced Relay provides several versions of this server. An API is available for those developers who want to write their own DLM servers. 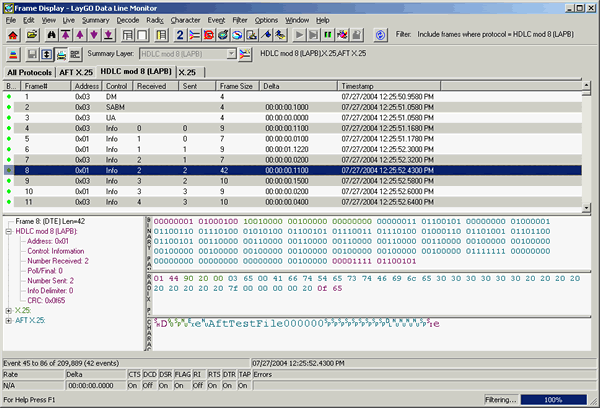 The DLM Monitor application connects to one or more servers (in the network) and retrieves events to be displayed and/or captured to a file. Advanced Relay provides an API for developers and a sample monitor program that writes events to a file. This file could be analyzed with a graphical decoding software such as Ethereal. 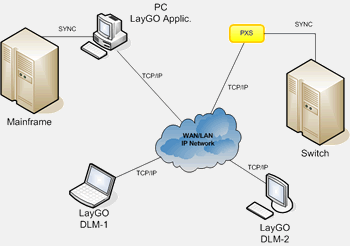 This DLM architecture gives you enormous flexibility to monitor multiple sites from multiple locations, as long as TCP/IP connectivity exists.